According to the seller, this unit is in excellent condition. We have not yet been on this particular unit yet. All information in this listing is believed to be accurate and correct but at the present time has not been personally verified. We encourage all inquiries and questions relating to its present condition, the accuracy of details including but not limited to its location, engine hours, service history, listing status and features. 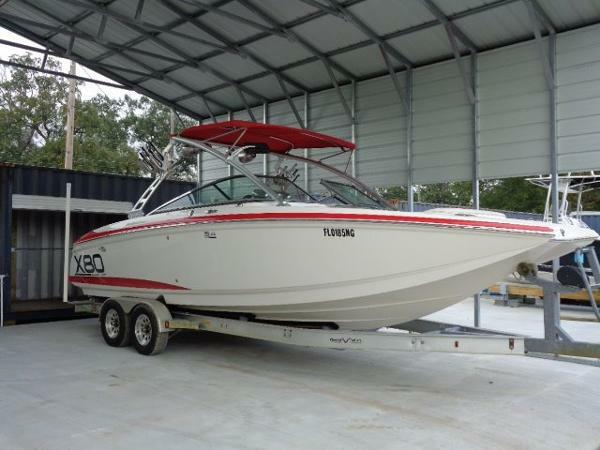 Stock #164514 Awesome ski-wakeboard boat in terrific condition. Seller moving up in size wants her sold ASAP! 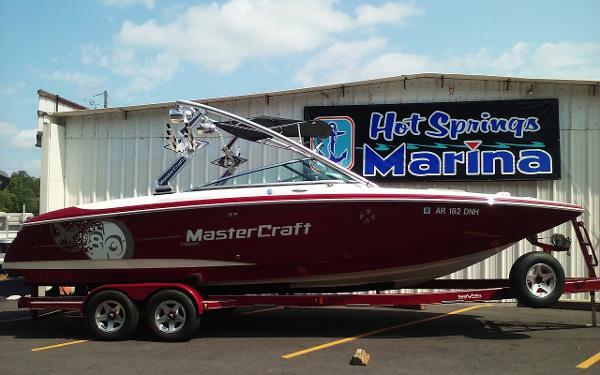 If you are in the market for a ski/wakeboard boat, look no further than this 2010 Mastercraft X80 SST, just reduced to $75,000 (offers encouraged). This boat is located in Mound, Minnesota and is in great condition. She is also equipped with twin Indmar engines that have 476 hours. Reason for selling is moving up is size to an express cruiser. 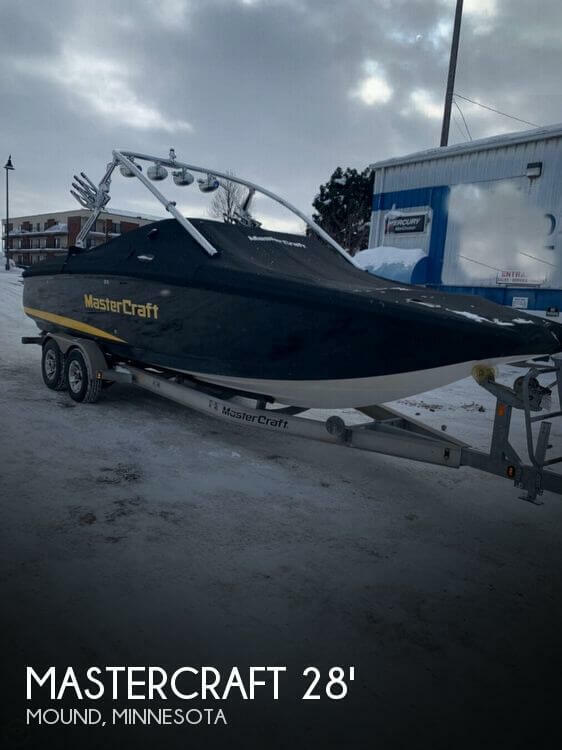 Per the Seller: Beautiful boat. Always maintained and hardly used with only 133 hours on engines. That equals only about 10 hours of use every season since new. 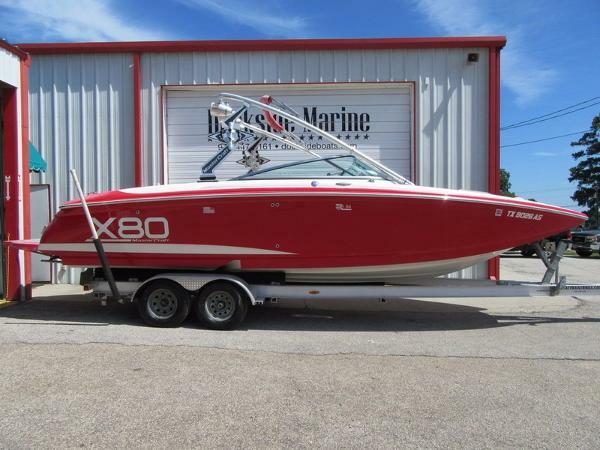 This X80 Model Mastercraft needs nothing and is ready to go to its new owner Stock #160528 ONLY 133 HOURS -TWIN ENGINES - SEATS 15 PEOPLE - BEAUTIFUL CONDITION If you are in the market for a ski/wakeboard boat, look no further than this 2005 Mastercraft X-80, priced right at $74,900 (offers encouraged). 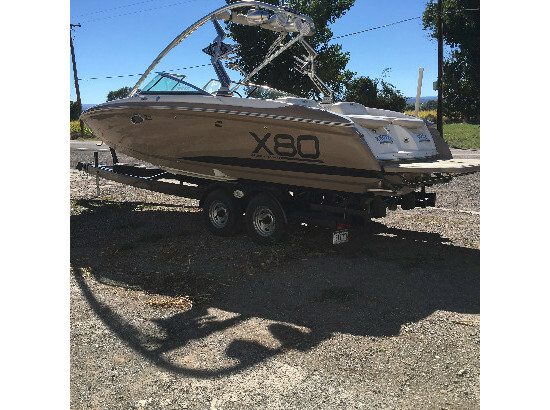 This boat is located in Kalispell, Montana and is in good condition. She is also equipped with twin Indmar engines that have only 133 hours. Reason for selling is too busy at work. The seller says this vessel is ready when you are. It looks to be very well maintained and in good shape for a 96. There is some fading on the exterior and especially in the graphics. This is fairly normal for a vessel this age. We urge you to send us all your questions as to any aspect of this wonder 1996 Lakeview 18x80. Showing are available by appointment only. Stock #174027 Awesome Lakeview Houseboat / Motoryacht. 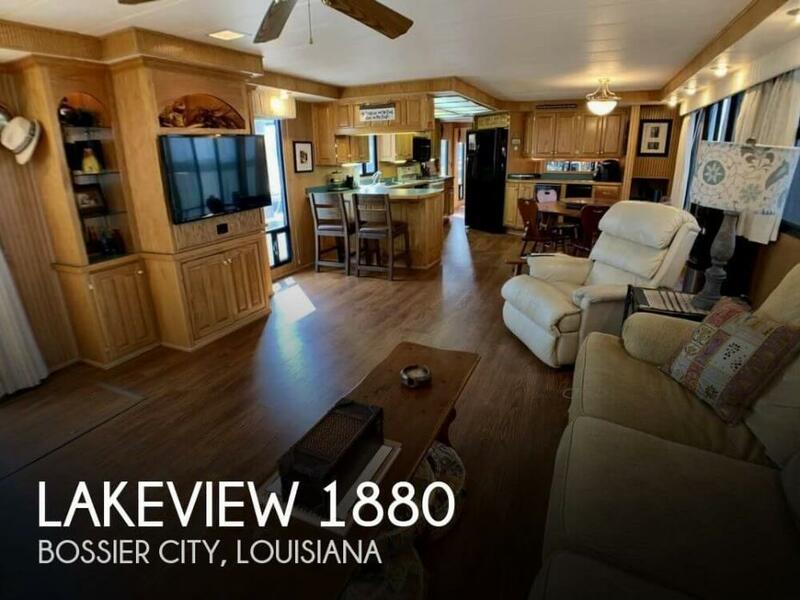 A Perfect Live Aboard If you are in the market for a houseboat, look no further than this 1996 Lakeview 18x80, priced right at $168,750 (offers encouraged). This vessel is located in Bossier City, Louisiana and is in good condition. She is also equipped with twin Mercruiser engines. Reason for selling is downsizing. This X80 is in great shape. There are a few very minor scratches, but no tears in the vinyl canvas. Per the seller, all instruments and lighting work. The bilge is as clean as the remainder of the boat. 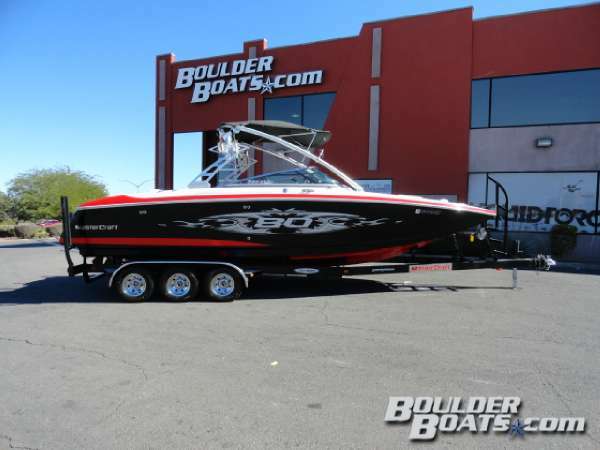 Stock #162919 Gorgeous Mastercraft X80 - fun to drive, with twin screws and extremely fast & only 470 hrs. 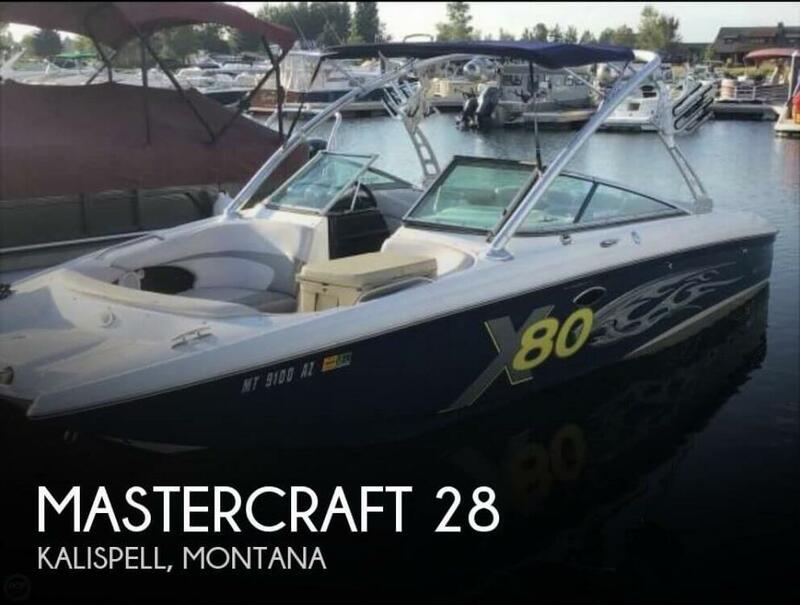 If you are in the market for a ski/wakeboard boat, look no further than this 2007 Mastercraft x80, just reduced to $69,999 (offers encouraged). 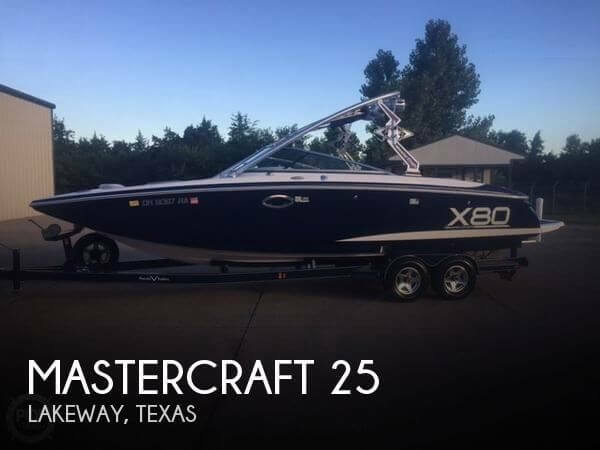 This boat is located in Lakeway, Texas and is in great condition. She is also equipped with twin Indmar engines that have 372 hours. Reason for selling is moving to a smaller boat. 2007 Mastercraft X-80 While the X-80?s most recognizable feature may be its pickle-fork front end and sheer size (28 feet long, 9 feet wide), its most distinguishing characteristic may be its ability to please just about every one of the 15 adults you can put comfortably on board. 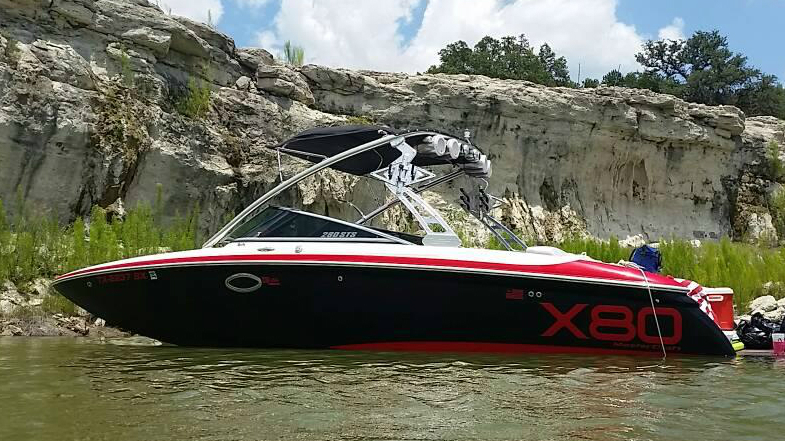 With three distinct seating and conversation areas, the X-80 can be a floating picnic, a family afternoon cruiser or dedicated wake machine. Features like a wet bar with Corian countertop and freshwater sink and optional refrigerator are like having a kitchen on water. Picnic baskets, towels, tubes, skis, drinks and more store in more places than you can imagine, underneath seating areas that embrace behinds and backsides with supple 38-ounce stain-, mildew- and cheese-dip resistant vinyl. The seating gets even more spacious, thanks to the standard drop-down passenger lounger. The boat gets bigger, too with the flip of a switch ? 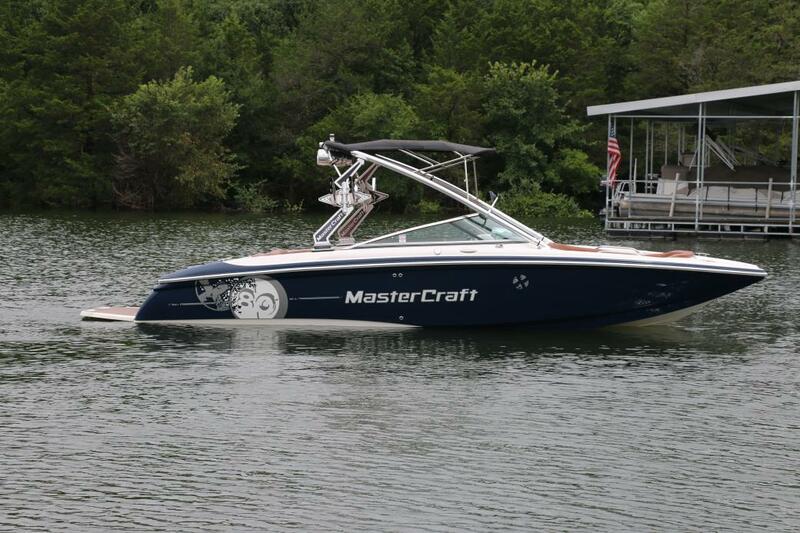 MasterCraft?s KGB system adds 1,000 pounds of wake-making water to the under-floor ballast structure. Boarders will love the girth put out by this 5,300-pound behemoth, but wakesurfers will drool at the clean North Shore-esque barrels thrown by the X-80s twin, counter-rotating 700-horse engine system. 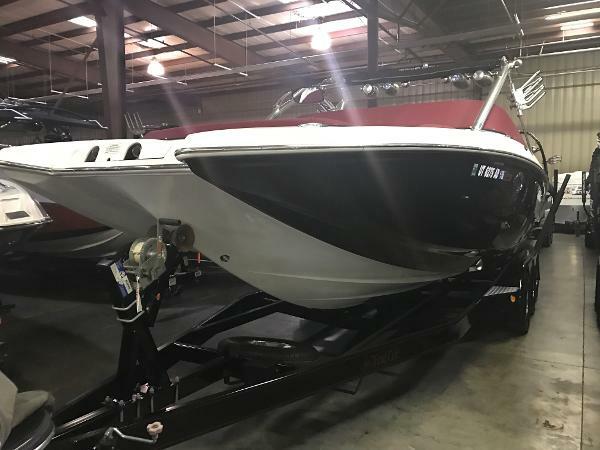 2006 Mastercraft X80 Garage kept, fiberglass in perfect condition, Upholstery and covers are all in excellent shape with no fading, tears or sun rot. Fully loaded with twin 350 motors, and all the upgrades! Runs great and looks incredible! Don't miss this sweet deal before it's gone!! Must Sale! Priced for quick sell! 2007 Mastercraft X80 2007 Mastercraft X80 SST with Twin 350 Engines and only 244 hours on this boat. Review:This thing is crazy, its so big! one of our riders said when first stepping onto the MasterCraft X-80 at the dock. What kind of wakeboarder lays out well into the six figures for this water-sports yacht? Ones with big families, lots of friends and larger lakes and waterways. Some buyers even get the MasterCraft X-80 as their little fun boat to go alongside their 60-footers.Hull: This design has a deep V with a vented step on the biggest hull in MasterCrafts lineup, breaking the mold both in length and width. Its able to blast over rollers like a semi over speed bumps. The design also supports two engines, still a rarity in this market. Get this with the saltwater package of upgrades and the MasterCraft X-80 can charge almost anywhere.Ballast: The MasterCraft X-80 comes with a 500-pound factory ballast system, which is more like icing on the cake when the boat itself weighs more than three tons. And did we mention the two engines? The wakes are massive with the factory setup. Seriously, adding any more would really be crazy.Tower: Even with its unique size, there are a few things that right away signal to everybody this is a MasterCraft. Theres the pickle-fork bow and the ZeroFlex tower. Sure, the tubing extends to epic proportions, but the rear supports still have that cool industrial design and sweet built-in wakeboard racks.Highlight feature: Its hard to pick just one on such a loaded boat, but well go with convertible lounger. Or maybe the sink and fridge for forming a refreshment center behind the drivers seat. Or the enclosed head, the huge bow, the .The wake: HUGE! Thats the test teams consensus on these wakes. We had to take the boat up to 26.4 mph to find our sweet spot, but still at 65 feet they were big, narrow and steep. Experienced riders will find this a whole new challenge. And for wakesurfing, this is one of the best boats out there, with a lot of potential even without squeezing all the passengers into one back corner.What We Dig-Monstrous size in every aspect of this wakeboard boat-A bow that seems as big as the main lounge on smaller wakeboard boats-Twin throttles for a new driving experience-Twin engines for massive powerSpecsLength w/o platform: 283Beam: 96People: 15Dry weight: 6,200 lb.Ballast: 500 lb. (two rear tanks, 250 lb. each)Tower: ZeroFlexRacks: SwivelMain lounge: 82 sq. ft.Cooler: 48 qt.Fuel: 100 gal. $60,000.00 obo. 2009 Mastercraft X80 This boat is SOLD 2009 Mastercraft X80SS. Twin 350mcx motors with around 350 hours. This boat is equiped with most all options that were available in 2009. New custom interior was installed in 2015 and designed to be SPRAY TAN PROOF instead of the factory white. 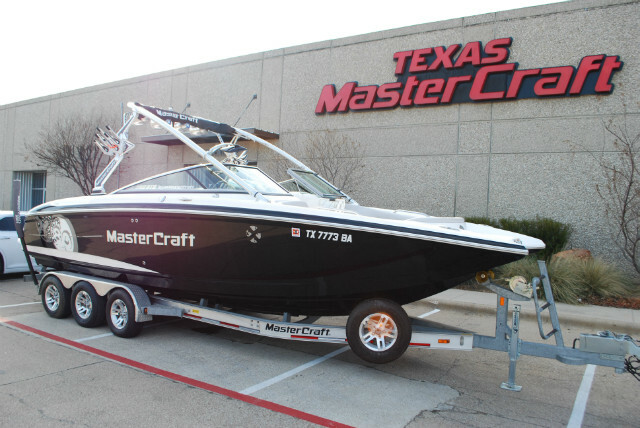 This boat was the 2009 Mastercraft photo shoot boat for the mastercraft brochure catalog. The boat has full blue led interior lights as well as underwater lights. It does have minor wear and tear but over all pretty clean. Comes with a tandom axle aluminum and galvanized trailer. The stereo system was updated with new speakers, including 4 amps, and 4-10" subs. It does have a ballast system and trim tabs which creates an amazing surf and wakeboard wave. Please call with any questions. 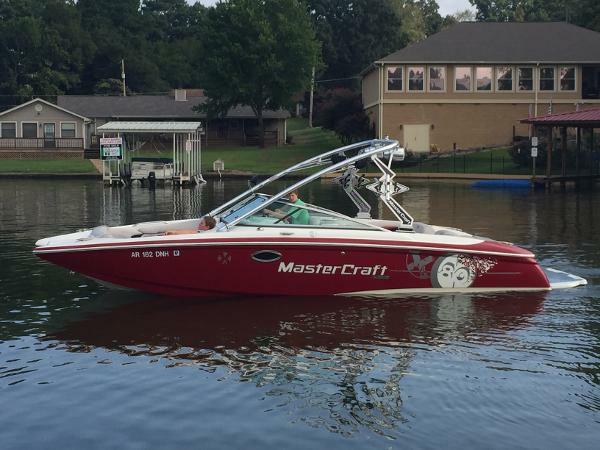 2007 Mastercraft X80 Beautiful 26' Mastercraft X80 is in outstanding condition. Powered by twin Indmar MCX350 engines, this boat will do whatever you want!!! Wakeboard tower with wakeboard rakes, new JL Audio stereo system, Perfect Pass and many more extras. Comes with tandem axle trailer.